Challenged claims of a patent related to the use of the Internet to make long-distance telephone calls while avoiding long-distance fees were invalid for obviousness in light of prior art that described communications systems for use on early versions of the Internet, the Patent Trial and Appeal Board has decided (Cisco Systems, Inc. v. AIP Acquisition LLC, May 18, 2016, Busch, J.). Patent-at-issue. U.S. Patent No. 7,269,247 B2 (“the ’247 patent”), held by AIP Acquisition LLC, related to methods and systems for allowing “communication between otherwise incompatible communication networks in a manner that is transparent to the calling party.” For example, the claimed methods allowed the Internet to be used like a telecommunications network, over which calling parties could dial remote locations for the price of a local access and service fee in order to have voice communications with called parties, thereby avoiding the use of long-distance carriers. To make such calls, a local system could be dialed via computer or a telephone, which prompted the calling party for the called party’s phone number or other identification. The calling party was then connected to the called party over the Internet (or another data network), such as by connecting the parties via a node through a local call or other networks. IPR petition. 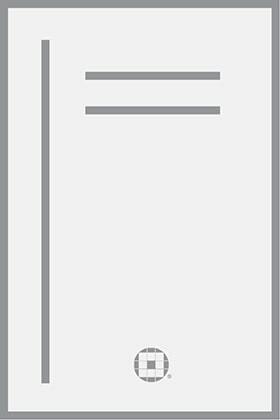 Cisco Systems, Inc., filed a petition requesting inter partes review (IPR) of the ’247 patent. Cisco contended that the ’247 patent was invalid for obviousness. The Board instituted IPR of claims 1-9, 11-24, and 26-29 and found that those claims were unpatentable under the asserted grounds. Prior art references. 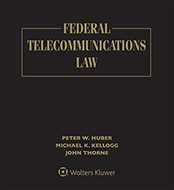 Cisco cited three combinations of prior art references that purportedly rendered the challenged claims unpatentably obvious: (1) A journal article titled Experience with Speech Communication in Packet Networks (“Weinstein”) combined with a Network Working Group request for comments titled “Experimental Internet Stream Protocol” (“RFC 1190”); (2) Weinstein and RFC 1190 combined with portions of a book titled Voice/Data Telecommunications Systems: An Introduction to Technology (“Gurrie”); and (3) Weinstein and RFC 1190 combined with a publication by the University of Southern California Information Sciences Institute titled “1982 Annual Technical Report: A Research Program in Computer Technology” (“ISI”). The Weinstein article described research work sponsored by the Defense Advanced Research Projects Agency (DARPA), which began with experiments conducted over the Advanced Research Projects Agency Network (ARPANET). ARPANET was later connected to additional networks; the structural details of the interconnected networks were explained in text and diagrams in the article. One figure showed a “wide-band internetwork packet voice/data system, with illustration of primary local area facilities at each site.” Weinstein disclosed benefits of integrating voice with data, such as cost savings, enhanced service, voice communications between users on different networks, control flexibility, and security. The article further described an Internet Stream Protocol (“ST”) allowing the interconnection of networks over a packet-based satellite network. RFC 1190 described version two of the Internet Stream Protocol (“ST-II”), which was intended to be easier to implement and supported a wider range of applications. RFC 1190 explained that, in areas where the Internet supported ST-II, ST-II packets could be encapsulated in IP packets, allowing connections across Internet routers that did not support the ST protocol. The excerpted portions of Gurrie related to technology for transmitting data and voice in telecommunications systems. Published in 1986, Gurrie described how a private telephone network may include a switch that connects calls from one station to another within an organization. This private branch exchange (“PBX”) allowed all phones within an organization to call one another and to reach the public network outside the organization. The ISI report, published in March 1983, described a wideband communication project that would transmit digitized voice over ARPANET. The project also worked on integrated communication of other media, such as video, with the goal of developing real-time multimedia teleconferencing capabilities using wideband packet switched networks. ISI also discussed the use of facsimile networks. Obviousness of claims 1-8, 12, 15-23, and 27-29 in light of Weinstein and RFC 1190. According to Cisco, Weinstein disclosed all limitations of claims 1-8, 12, 15-23, and 27-29, and RFC 1190 further taught that Weinstein’s ST was an Internet protocol, as was the ST-II. Cisco asserted that it would have been obvious to replace ST with ST-II. The Board agreed, concluding that a person having ordinary skill in the art would have combined the relevant teachings from the references in a manner that results in the recited system, arranged as claimed. The Weinstein-RFC 1190 combination of converting voice protocols to ST-II an encapsulating those packets into IP packets met the limitation of the data conversion recited by the challenged claims. The references described data networks that, at the time of publication, an ordinary artisan would have understood to be the Internet. The combination of these steps would result in significant benefits. Combining RFC 1190 with Weinstein was merely the application of a known technique to a known system yielding predictable results. 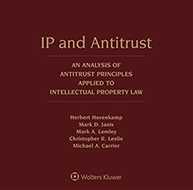 The Board rejected AIP’s contention that secondary considerations weighed against an obviousness finding, particularly AIP’s argument that the ST-II protocol was a failure that demonstrated a long-felt need solved by the ’247 patent. Obviousness of claims 9, 11, 13, 24, and 26 in view of Weinstein, RFC 1190, and Gurrie. These challenged claims involved criteria related to a transmission quality, cost of routing, and certain types of stored information. Cisco argued that Gurrie disclosed automatic route selection for a private branch exchange, and that it would have been obvious to combine Gurrie with the Weinstein-RFC 1190 system. The Board agreed that a skilled artisan would have found it obvious to incorporate the PBX of Gurrie into the Weinstein-RFC 1190 system. Such an artisan would have been motivated to make this combination in order to reduce long-distance calling costs. Therefore, these claims were obvious in light of the prior art, the Board determined. Obviousness of claim 14 in view of Weinstein, RFC 1190, and ISI. Claim 14 involved use of the patented methods in connection with fax transmissions. The Board agreed with Cisco that it would have been obvious to combine Weinstein’s network to send faxes, as suggested by ISI, because ISI described the same packet-voice communication project as Weinstein, and Weinstein cited to an earlier report produced by ISI. Accordingly, the Board found that claim 14 was unpatentably obvious in light of the prior art. The case is No. IPR2015-00307. Attorneys: David McCombs (Haynes and Boone, LLP) for AIP Acquisition LLC. Chi Eng (Eng Law Firm) and Alfred Froebrich (Lucas & Mercanti LLP) for Cisco Systems, Inc.
Companies: AIP Acquisition LLC; Cisco Systems, Inc.